David Moss was Professor of Cultural Anthropology at the University of Milan for eight years until 2010. The University of Milan has 65,000 students and is very highly rated for research both within Italy and Europe. Before moving to Italy David worked at Griffith University, Brisbane Australia, as Professor of Italian and European Studies. He has written widely on political violence, patronage, responses to HIV/AIDS and banditry in Italy. David holds an undergraduate degree in Modern History from the University of Oxford, and a PhD in Social Anthropology from the University of Kent. 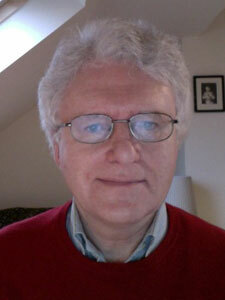 He recently talked to jobs.ac.uk about his experiences of working as an academic in Italy. “The application process for academic posts in Italy is very complex and time-consuming, even for Europeans who don’t need a visa – my application took around 18 months from start to finish. In theory academic jobs are open to people from all over the world – in practice very few foreigners are actually employed. The situation is starting to change, albeit very slowly. Academic life in Italy is conducted in Italian. Courses in English, except for a few at PhD level, are very limited, and there are few native English speakers amongst the academic staff. Fluent Italian is essential if you are planning to apply for an academic post and take a full part in your university community. Like other Italian universities, the University of Milan can’t provide any help with finding permanent accommodation in the city. David was fortunate to have friends living there who were able to help. “Affordable rented accommodation in Milan can be hard to find. I only needed a one bedroom flat, as my main family base was back in the UK where my wife was working. I eventually found somewhere suitable, but the cost absorbed about 30% of my net salary. For the eight years I was at the university, I spent my time commuting between the UK and Milan, and as our home in the UK is not far from East Midlands airport everything worked out really well. “Settling into life in Italy was really straightforward and I thoroughly enjoyed living in Milan. My colleagues were warm and hospitable, and I was invited to their homes for meals, or to stay at their holiday homes by the sea. I went to football matches in Milan and attended concerts and soon got to know people. But none of this mattered and David thoroughly enjoyed the academic life there. At the University of Milan only about 40% of the students enrolled in degree programmes attend lectures. The remaining 60% who don’t attend do reading programmes. Some are working, and others might live a long way from the university. As a lifelong student of Italian politics, culture and society, David did not want to miss the experience of working there. “I’m an anthropologist and the Italians have been my tribe. My academic life has been spent writing about Italy and so the offer of a job at the University of Milan was very exciting. I have enjoyed my job enormously, and I have made some good friends and have been able to explore parts of the country I didn’t know. It really has been an unexpected privilege and I have been able to correct some of my own false impressions. David Moss is the author of The Politics of Left-Wing Violence in Italy, 1969-1985, Italy under the Southern Cross and many chapters and articles on postwar Italy.